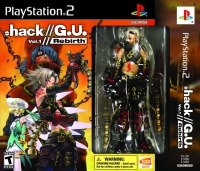 Description: Includes an action figure of Haseo, the main character of the .hack//G.U. series and a bonus disc "CyberConnect2 Terminal Disc", the bonus disc comes in a cardboard sleeve. Box Text: Welcome to "The World..." As Haseo, you must uncover the truth behind bizarre occurrences in the MMO "The World" that seem to be tied to events in reality. It is a dangerous journey, but you will not fight alone. Create parties, join guilds, and develop new skills to hack "The World" to your advantage. 03-22-2012 scott Description Includes an action figure of Haseo, the main character of the .hack//G.U. 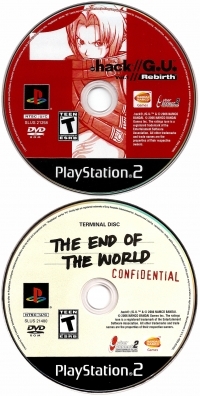 series and a bonus disc "CyberConnect2 Terminal Disc", the bonus disc comes in a cardboard sleeve. This is a list of VGCollect users who have .hack//G.U. Vol. 1//Rebirth - Special Edition in their Collection. This is a list of VGCollect users who have .hack//G.U. Vol. 1//Rebirth - Special Edition in their Sell List. This is a list of VGCollect users who have .hack//G.U. Vol. 1//Rebirth - Special Edition in their Wish List.